Record and track offtake sales and returns for customer at sell out store; These transactions are for record purpose, no posting to inventory nor accounts was done. 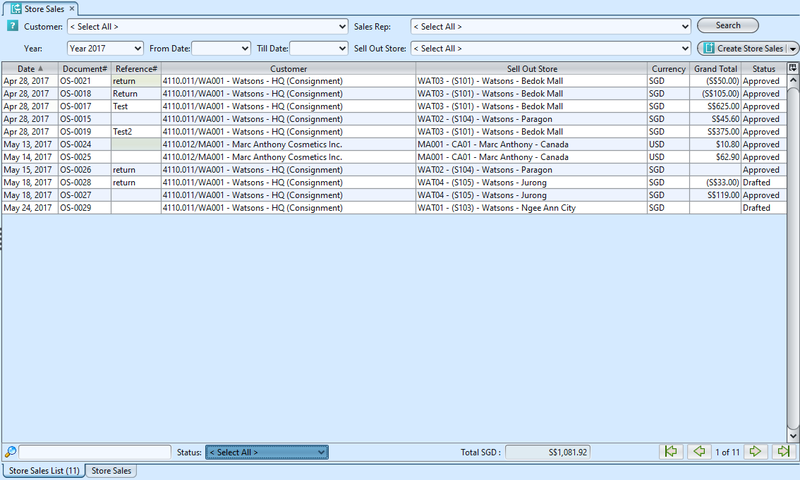 User able to enter positive quantity to record store sales OR negative quantity to record store returns. 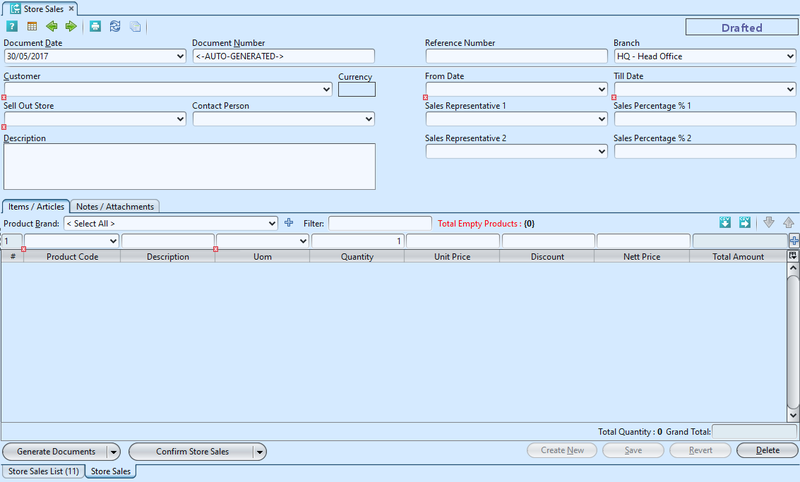 User also able to assign percentage of commission between sales representatives for record / report purpose. 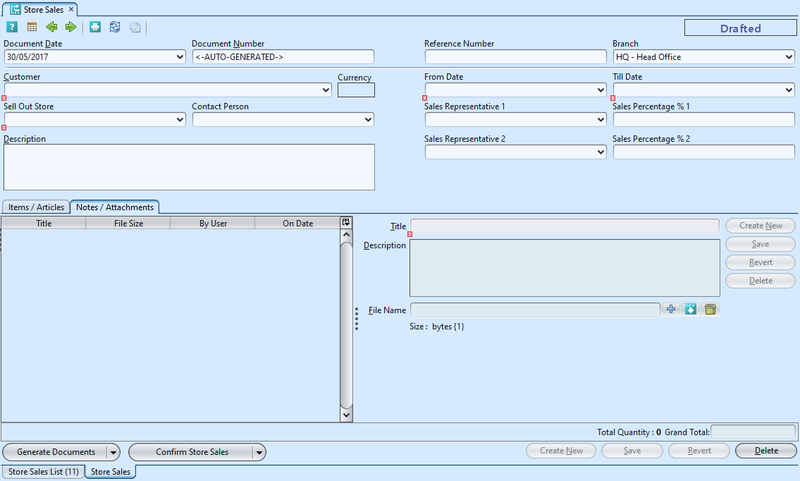 These data can be use for sales representatives’ commission calculation outside of GOOMI. 6. Enter the product’s info* and click ” ” button button to add the product into the store sales. a. 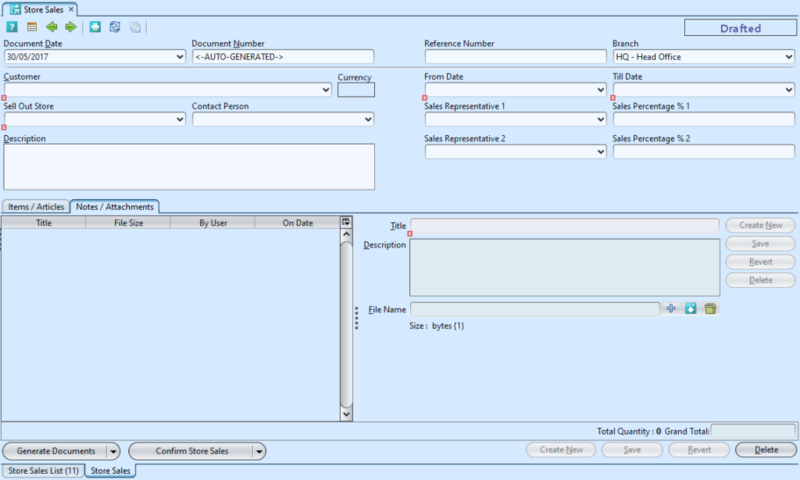 User can only enter either + qty (sales) or – qty (returns) for each document, but not both within the same Store Sales document. b. 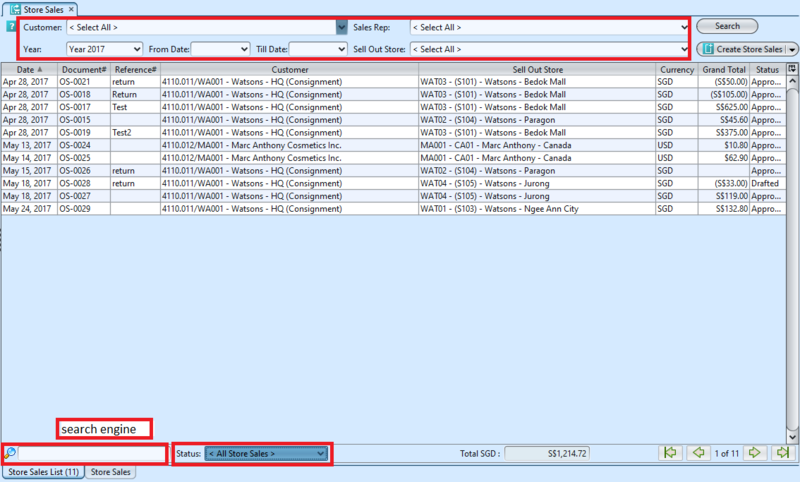 Unit Price by default will be the retail selling price (as defined in the system sales settings). User able to manually change this value.